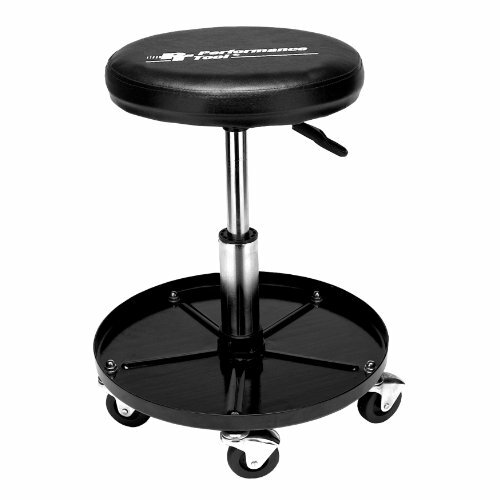 Wilmar W85008 Professional Hydraulic Shop Seat features pneumatic action adjust seat to 20-Inch height quickly and easily. Convenient 15-Inch diameter tool tray. Shielded 2-1/2-Inch casters. Fully padded 12-Inch diameter seat. 2-1/2-Inch replacement caster assembly Performance Tool Part number- W85003.